New York City is one of the most popular cruise ports in the world, so deciding to extend your vacation and spend a couple of pre and post cruise days in the city that never sleeps could not be easier. Are you currently planning a cruise that starts or ends in New York City? Then you simply must extend your vacation and spend a couple of extra days pre or post your cruise in the amazing New York City. With one of the best public transport systems in the world, travels from the cruise port terminal to the hotels is as easy as pie, and if you want more comfort, you can always just get one of the famous yellow taxis or even hire a limousine. It could be a bit pricey – but you only live once! Once you arrive to your destination, the fun is only yet beginning. If you are a shopaholic, you will probably love the fact that New York City is one of the most famous shopping capitals; just make sure you don’t spend too much, as the great deals that are offered could quickly make you lose control. If you are a foodie, the fact that New York City is full of spectacular restaurants with Michelin star chefs will surely be one of the best news ever, and if you are a fan of culture and art, New York City will impress you with its selection of art galleries, museums, shows, art cinemas and many other establishments. How to find the best pre and post cruise hotels in New York City? Looking for good and affordable hotels in NYC can be a bit tricky, as the best hotels can be a little bit pricey. However, if you decide to extend your vacation well in advance and book the hotels early enough, you could get some great value deals. The same goes for last minute deals on hotels; you could get some great hotels for an affordable price. If you are having problems finding suitable offers for hotels, you could reconsider your location. While hotels located in Manhattan can be very expensive, you can decide to spend your pre and post cruise vacation in hotels in NYC suburbs, which can be a lot more affordable. 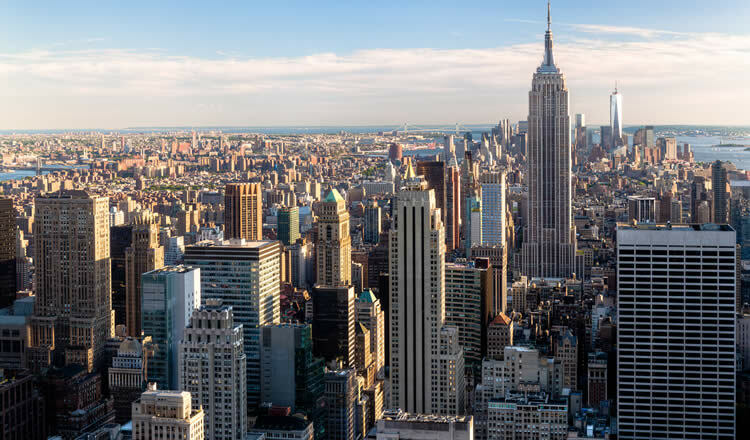 NYC is a stunning and vibrant metropolis that offers some truly amazing sights, so you should definitely extend your vacation and spend a couple of pre and post cruise days around here. Some of the best shopping in the world, amazing restaurant where world-renowned chefs serve their signature dishes, some of the most famous art galleries in the world, and a vibrant nightlife are just some of the reasons why the city that never sleeps is so very popular with visitors from all over the world. Do you want to discover what the hype is all about? Then perhaps you should extend your vacation and start planning your pre and post cruise stay in one of the great hotels in New York City. When departing or arriving in Brooklyn Red Hook or Cape Liberty Cruise port, many well priced lodging facilities are located in the nearby area as well.